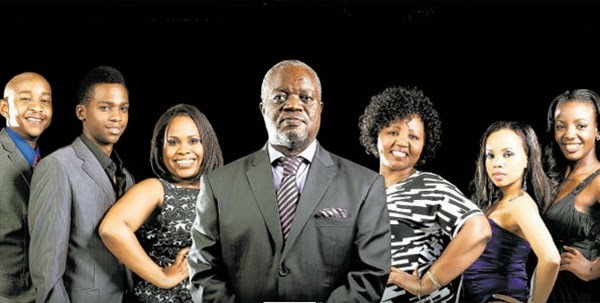 Mali: United by Blood -- Divided by Greed was a Kenyan soapie, the first Kenyan soapie. It's been airing on Welfare TV 2 for a while now and has captured my attention. It has always given me Muvhango vibes from day one only with a focused, ongoing saga. Here's a bit about it and why I like it so much. Gregory 'G' Mali has two families with his two wives Mabel and Usha. It's the classic did he take a second, younger wife, when his mid-life crisis began taking hold? type of situation. Usha's modern, loves her some designer brands and is probably banging her personal trainer. Mabel is a down-toearth, high school sweetheart type whose only interest is a happy family and, like, throwing her husband a nice birthday party. Mabel has two daughters: Nandi who's G's izibulo and is rumoured to be pregnant in London. Everyone hides the news from G, some harder than others -- with Lulu and Usha barely keeping a lid on it. The other daughter is Lulu who's a small-time celebrity with a music TV show at her dad's channel and a drug problem. Usha has two boys: Richard who's fighting with his dad and springs free of the family business for a while. Arthur's a sweet kid and Lulu's bff. He's in love with the help at one point, which sort of creeps me out when he wants to make-out when his mother has a laundry list of work for her -- probably including Arthur's laundry. G has enemies and people just plotting to bring his business to disrepute. Richard starts working with his arch nemesis, Mwambo. IS HE RICHARD's BIOLOGICAL DAD??? Usha kicks Richie out of the house for betraying his dad and has someone beat him up to teach him a mother's lesson or something. Then G dies. Without a will. And so the you-know-what hits the fan at high speed. The makeup work aside, the show has been real fun and entertaining. Apparently Mfundi Vundla consulted on it -- he probably has been making TV longer than most in the field of daily and fiction on the continent. I enjoy the supporting characters too: was Bella really in love with G? Why is the coffee shop staff always telling each other off? Why do I hate Tony so much, even though I don't remember much about him? What is Fadhili up to? 5. The guy who looks like Dave Chappelle. When G dies, his tribe, The Dodo, come to get the burial and mourning rites underway. The family is mostly weirded out because they're so urban or because the Dodo are a bit weird... Mabel is the only person who is open to them. The tall man with the dashiki and drum is a ringer for Chappelle. Lulu and Arthur's relationship is just so sweet. I want a brother too. But sometimes, in the beginning, I used to forget they were related and always thought they were about to kiss. Why is Nandi so pretty? Why is she so evil? Is she a blood-relation of Usha's? Because that shadiness can only be a gene strand. Based on how Lulu spoke of the character (Miss Perfect, G's favourite, Queen Nandi) I'd expected her to be a lot different. Maybe this character's the push I needed to reassess my own stereotyping of "perfect" as "sweet". Usha is so important, you guys. The show started just as Kween Khomotjo's story was hitting its climax on Muvhango and I shipped them as bff in my heart. They'd be the best together. Their lives are parallel, someone make this TV film happen. She's depicted as this woman who married G for his money and pretty much couldn't care less about him and, like, his feelings or dead body. I think Usha flew her character in to help with outfit preparations for G's funeral or something. It was so bae. OmG!!! Lupita's cameo on Mali. Have you been watching Mali, if yes, what do you think of it? 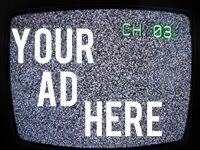 What other shows from the continent that air locally do you enjoy? Do you know interesting stuff about the actors? I want to know what you know.